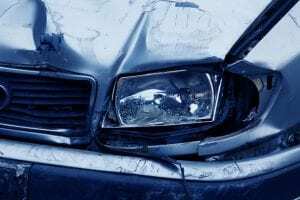 Wheatland, NY (October 7, 2018) – Two children were seriously injured when they were involved in a severe rollover accident that took place around 6 p.m. on Saturday, October 6. Their mother was also hospitalized following the incident. The accident took place on South Road when the driver of the vehicle was traveling at a high rate of speed and lost control, where the vehicle went off the roadway. It struck a tree and flipped onto its roof. The driver and her two young children, aged 3 and 4, were inside the vehicle at the time. All three were taken to the Strong Memorial Hospital with injuries. Police continue to investigate at this time. At this time, we want to wish our sincerest thoughts and prayers to those who have been involved in this accident and hope that all parties receive a fast and easy recovery. Accidents like these take place for many reasons on New York roadways. Rollover accidents are some of the most serious accidents that you can experience due to many reasons such as speeding, drunk driving, distracted driving, and more. In your time of need, you need an experienced attorney who is going to stand up for your rights and help you through the most difficult aspects of your case. If your children or a child in your life has been injured due to the negligent actions of another party, you might be able to bring a claim on their behalf to receive compensation for aspects like medical bills, lost wages, and so much more. As you move forward, you will find that you have help along the way. At Hach & Rose, we are here for you through the most difficult parts when you need us the most. Call us for more information on how we can support you with your claim at 212-779-0057.